Johannes (Harry) Pannekoek is a Western Australian artist and sculptor combining his skills in design, engineering and material finish. Whilst always being involved in artistic pursuits both personally and commercially, he gained a background in engineering after studying at the University of Western Australia and working with his family's engineering business. He then commenced a 25 year career in graphic design, branding and business development before pursuing his interest in visual arts. In 2007 & 2008 he studied Applied Environmental Arts at both Swan and Central TAFE. His non-objective artwork arose from the process of constructive manipulation of abstract ideas in parabolic curves, spatial relations, volume and line. Working primarily with ferrous and non-ferrous metals he currently focuses on a methodology requiring some challenging mathematical and fabrication processes resulting in unique sculptures with a quality material finish. Johannes works from his studio and workshop in Gooseberry Hill where he has the space and equipment to fully design, construct and finish the works himself. Group exhibitions include; Sculpture by the Sea, Cottesloe 2009, 2011, 2012, 2014, 2017 and 2018. Sculpture by the Sea, Bondi 2012, 2016 and 2017. Bathers Beach, Fremantle 2015 and 2017. 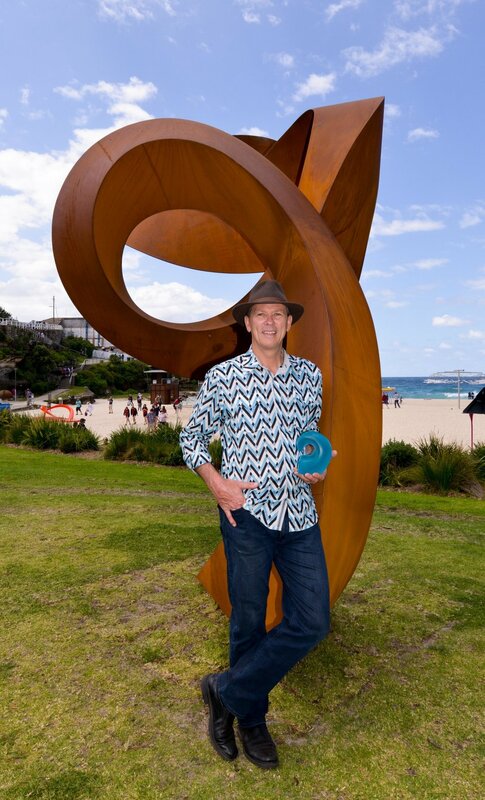 He is represented in a number of private, corporate and public collections including the Crown Towers Perth and the Sydney Harbour Sculpture Collection. 2016 - Crown Towers Perth - sculpture "Life Stream"
2018 - Sculpture by the Sea, Cottesloe "Divergent"
2017 - Sculpture by the Sea, Bondi "Divergent"
2017 - Sculpture by the Sea, Cottesloe "Change Ahead II"
2017 - Sculpture at Bathers, Fremantle "Signature 2014"
2016 - Sculpture by the Sea, Bondi "Change Ahead"
2014 - Sculpture by the Sea, Cottesloe "Signature"
2013 - Sculpture at Bathers, Fremantle "Convolution II"
2016 - Aqualand Sculpture Award, Sculpture by the Sea, Bondi, "Change Ahead"